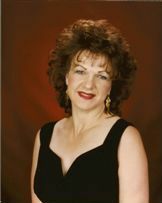 Phyllis New in the 25+ years of sales, I’m specializing in residential, farms, condominiums, vacation homes and personal residence. I will help you find the perfect Front Porch for your family. I have called the Branson area my home for the past few years. My husband and I love fishing, the lakes, all the amazing shows and just walking in God’s country. It will be my pleasure to represent you in any real estate transaction.